Albert Peter Cucinello, 77, of Port Jefferson, New York, died peacefully at home, surrounded by his loved ones on March 26th at 3:33pm. 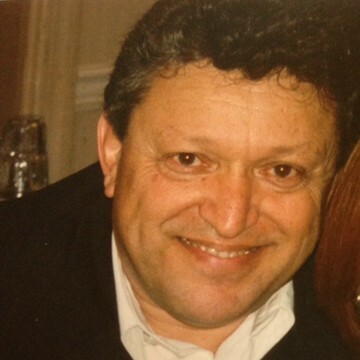 He is survived by his loving wife of 56 years, Joanne and their five precious children; Cherylyn, Christine, Lisa, Brendan and Paul, their six grandchildren; Lia Paris, Simone Gianna, Sarah Elizabeth, Briana Kristine, William Albert and Ella Rose; his brothers Joseph Cuciniello, and Rocco Rotunno and their children. Al was born On February 16, 1941 to Juanita Baez Cucinello and Vincenzo Cucinello in Brooklyn, New York. Due to unfortunate circumstances, he was placed in Angel Guardian Home very soon after his birth, but it was there, at a year old, that he met Elvira Rotunno and her husband Sal, who became his foster parents. Elvira spent the last 20 years of her life living at home with Al and Joanne and their five growing children. She grew to be their beloved Grandma. Al met his wife, Joanne, 58 years ago when they were Cosmetology students at Wilfred Beauty Academy. They went on to own and work together at three beauty salons in Queens and Long Island. Al was also a musician, drummer and lead singer of his own wedding band at that time, entertaining many brides and grooms across Long Island. An allergy led Al to retire from the beauty industry and begin to volunteer at Maryhaven in Port Jefferson. While there, he began studying to become a Recreational Therapist. Working with teenage youth in the community and seeing the effects of their troubled lives affected him deeply. It was this intense desire to help troubled youth and their families in crisis that led Al and his close friend, Anthony Brisciana, a Youth Social Worker, to establish the first Hope House in Mount Sinai, where Al was the Executive Director. They felt a strong calling from God to begin their dream. Though not part of Hope House any longer, that dream, to this day, has helped thousands of troubled young men heal and find meaning in their lives. Al and Joanne were also Lectors, leaders of Song and Eucharistic Ministers at Infant Jesus Church. Later on, Al began using his Carpentry skills working for Active Door and Window until his Retirement.